And I’m still knitting. I’ve been knitting a lot, actually. I’ve finished a couple of custom pieces for commissions and am, now, working on some personal items. 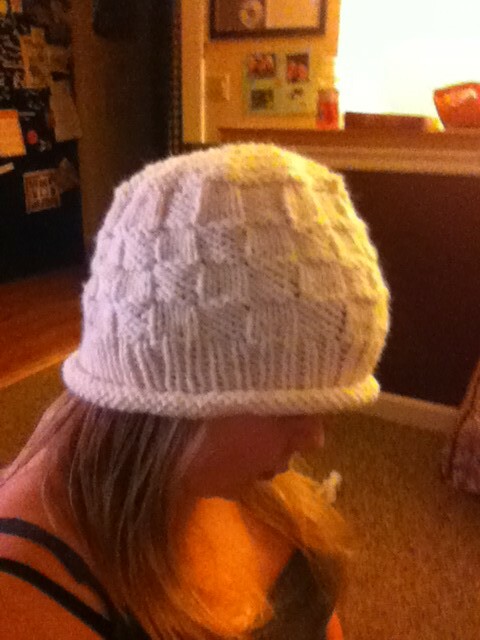 I’m currently in love with a particular hat pattern, which uses Encore Chunky yarn and size 10 needles. That hat, literally, whips up in less than three days time. I knew I was obsessed with knitting, but right now that obsession is in overdrive. I don’t let more than twenty four hours go by between finishing a project and casting on a new one. At the moment, I’m working on a hat for my girl-spawn in a beautiful lime green, wool/acrylic blend. The hat pattern takes just under a skein of yarn, leaving a little bit left over. I plan on making a pair of striped mittens out of all the remnants. I’m sure girl-spawn will be quite pleased. On a non-knitting, related note, my mother twisted my arm and convinced me to join the Tuesdays With Dorie, baking group. I was supposed to post yesterday but, with all the sickness in my house (son and myself), I just didn’t get around to it. Be on the lookout for such a post next week, as I plan on getting that accomplished soon. This entry was posted in food, knitting.